During GDC 2019 NVIDIA announced their intention to enable DXR ray tracing support on GeForce GPUs not part of the RTX technology suite, and today they’re following through. The latest GeForce Game Ready driver unlocks the technology – available through Windows DirectX 12 DXR libraries – across all enthusiast-class GeForce GTX Pascal and Turing hardware, giving a huge population of gamers a taste of the tech without incurring the cost of a hardware upgrade. Ray-tracing is a relatively straightforward to understand rendering principle that is nonetheless exceptionally computationally expensive to apply. Only relatively recently, with the release of NVIDIA’s Volta technology, did modern GPU hardware come close to performing complex ray-tracing in real time. 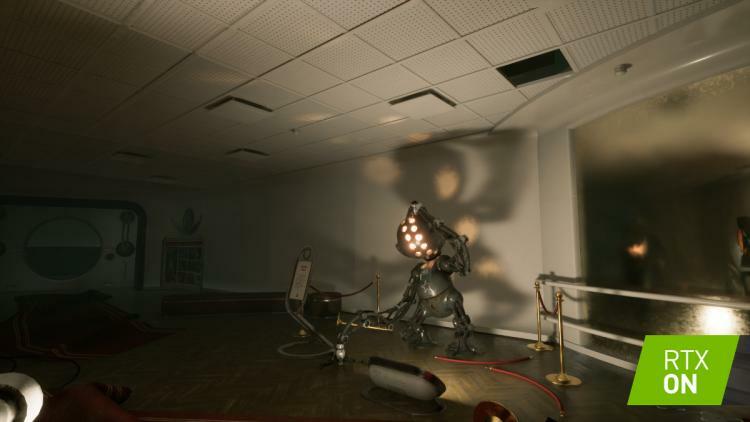 Four specific techniques are highlighted by NVIDIA as used in current games and demos that illustrate the potential of hybrid ray-traced rendering: reflections, shadows, global illumination and ambient occlusion. Game engines may use some or all of these techniques to enhanced a game's aesthetics, but each will add processing overheads that even high performance GPUs struggle with. For the most complex scenes only specially optimised hardware is suitable for real-time rendering, but simpler implementations or looser timing and frame-rate requirements greatly increases the scope of supported hardware. NVIDIA’s GeForce RTX 20-series GPUs were built from the ground up to accelerate ray tracing workloads, incorporating features at the architectural level that allow hybrid rendering of ray-traced and rasterised scenes in real-time for the first time. However many of the algorithms utilised can be performed on shader hardware which hasn’t been optimised for the process; Windows DXR is designed to be broadly hardware agnostic, so it merely requires some form of driver-level support. Nonetheless, while NVIDIA GTX 10- and 16-series GPUs may be now be compatible with Windows DXR, frame rates and general in-game experiences may well be fall short of their nearest RTX 20-series counterpart. 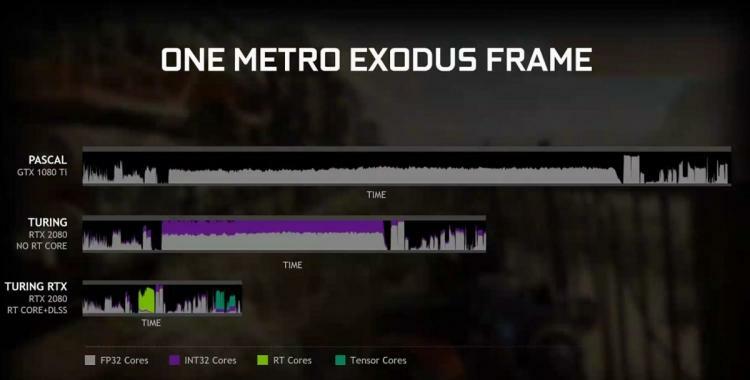 GeForce RTX-series GPUs are expected to be 2-3x faster with ray-traced workloads than their GTX counterparts, allowing for more complex scenes and higher frame rates. By supporting DXR on older hardware however NVIDIA open the door to innovative application of DXR ray tracing outside of the AAA sphere – perhaps less complex and more niche - that can be enjoyed by a far wider audience. Plus, it lets many have a far better idea of what an upgrade to a GeForce RTX 20-series GPU might mean for their gaming in the near future. As always, the latest driver can be downloaded from geforce.com/drivers or via the GeForce Experience app.